There is high demand for this die marriage due to the plethora of clash marks. It is very cool and for an R1 does not seem to appear as often as one would think. A couple of MS64's and a few MS63's top the census. PCGS Graded XF40. 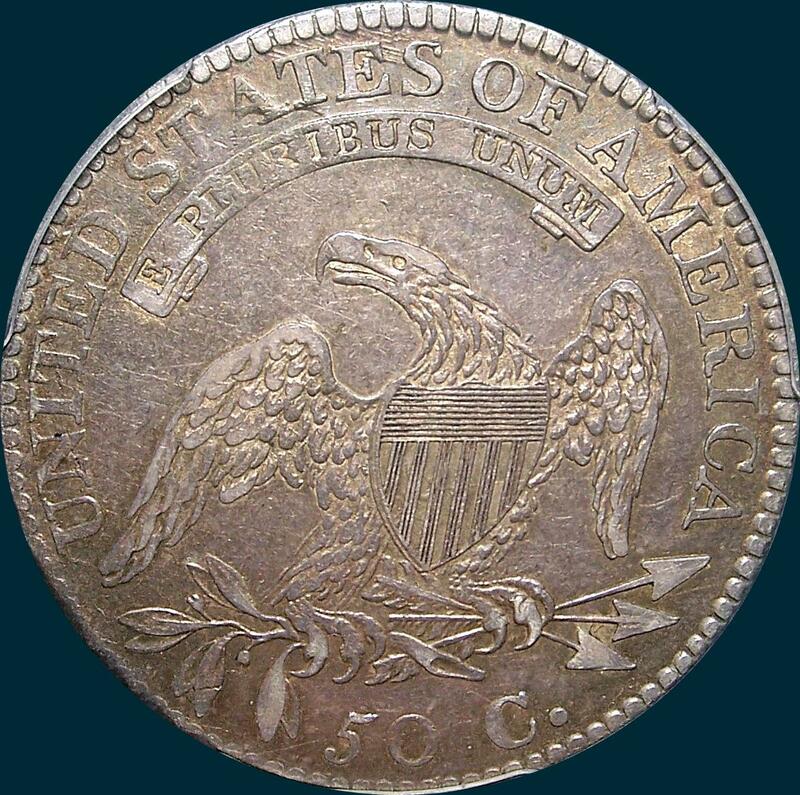 Cool old toning and lots of clash marks along with decent remaining luster make for a cool coin. This one has also had trips to 3 grading services, ANACS XF40, NGC VF35, and now PCGS. 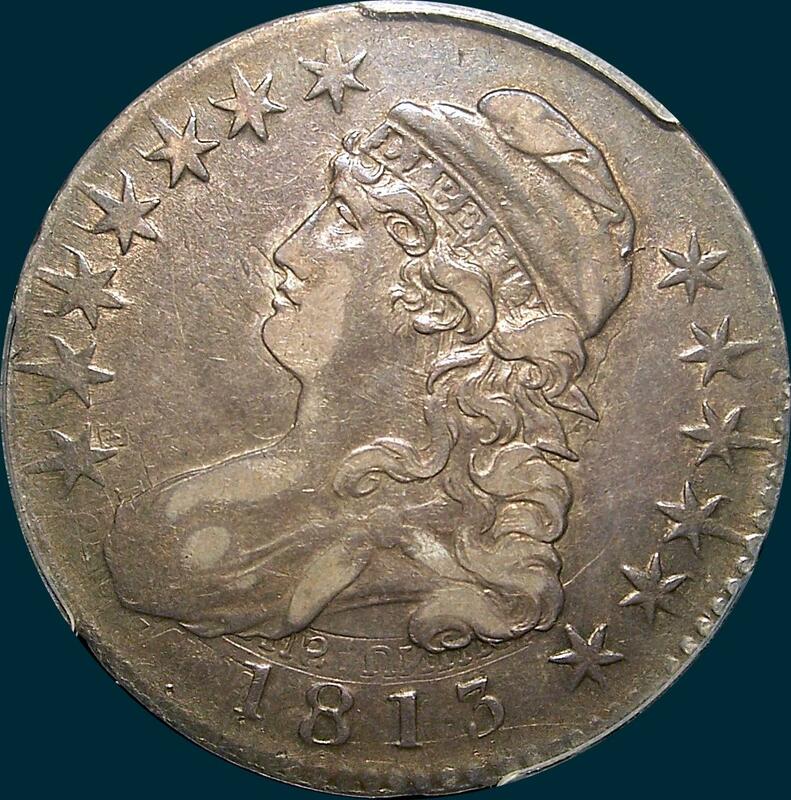 Variety Attribution: Obverse-Most specimens show E PLURIBUS UNIM sharp below the bust. Some show letters double and triple clash marked, with E usually visible near star 1 and stand of P at edge of bust. Also light to heavy clash marks in both fields and at ear. Clash marks are mentioned here because they are normal to all known specimens of this variety. (Usually they are not mentioned where they are inherent to only some specimens.) All seen show only light partial milling or none at all and star points drawn to edge. Date is 10 1/2 mm. with a large 8 that is thin at the top. Reverse-50 C. is 2mm. and rather low. Arrow to A is 1 mm. Small center dot between crossbars 4 and 5. Arrowheads separated, I is centered under left side of T. For the O-110, the reverse is normally well struck.